From the rear side cover: Anyone old enough to recall the innovative BBC TV programme ‘Tonight’, broadcast in the late 50s and early 60s, will remember Cy Grant, whose regular appearances on the show made him the first black entertainer to have a regular spot on British television. What television viewers were unaware of, however, is that in addition to his career as an entertainer, Cy had been one of a small number of West Indians to qualify as aircrew officers and fly with the RAF during the Second World War. Cy, originally from British Guiana, travelled to England to join the RAF in 1941 and, after undergoing flying training and qualifying as a navigator, was posted in 1943 to No.103 Squadron, based at RAF Elsham Wolds in Lincolnshire, as one of the seven-man crew of an Avro Lancaster bomber. Cy and his crew were shot down over occupied Europeon only their third mission, and Cy was captured by the Germans, spending the rest of the war as a POW. 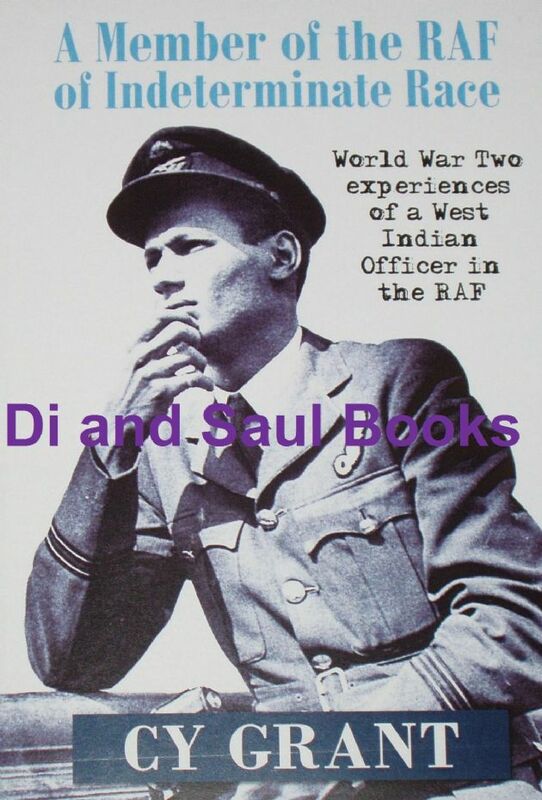 Incidentaly, the title of this book comes from a German propaganda article in a newspaper during the war, which showed a photograph of Cy Grant under the caption 'A Member of the RAF of Indeterminate Race'. The book also includes around 18 pages of black and white photographs towards the end of the book, although please note these photographs are of 'photocopy' quality.